Administering alerts is a core function of crisis management that shouldn't be overlooked. The advice set out in this article will ensure your organisation is able to employ effective incident alerting procedures in the event of an emergency. To initiate efficient alerting procedures during an incident, you first need to be able to recognise when an alert is necessary. This is achieved by having people in place surveying the landscape and consolidating information from several sources. Using this approach, unwanted developments can be detected early, with control measures instigated to reduce their impact. All these activities take place before issuing an alert is considered. At this point, no actual damage has been done. Imagine your own internal communications channels have uncovered a potential incident. Children are taught to call 999 to report an emergency – is your organisation equally aware of whom to notify when an incident occurs? The size, scale, and nature of a crisis dictates who should be alerted. For instance, a hole discovered in your company's firewall would warrant a limited, internal alert, while an ecological disaster would require more widespread efforts. A well-prepared organisation will have solid routines in place, prescribing who should be notified and when. Generally speaking, important persons like the management team and media contacts should nearly always receive alerts. They, in turn, will decide whether or not the potential impact of the incident justifies triggering a broader mobilisation. What's the Aim of the Alert? Defining exactly what you hope to achieve with your alerts should be decided during the crisis management planning phase. If your alerts seek to mobilise your crisis management team, you need to act swiftly. Mobilisation is all about securing resources as early as possible in order to gain control of the situation. Some people suggest that you should always assume the worst case scenario. Then, later, when the full picture has emerged, you can scale this initial assessment down if warranted. While this does ensure you'll not be stuck for resources, it's important not to cause undue panic during alerting procedures. Information will be scarce at this point, so it's crucial to assess the scope of the incident and its potential impact carefully, make a decision, and alert accordingly. How Should You Issue an Alert? When a crisis strikes, you need to know the varying methods of alerting available to you. Alerting over the phone is often the safest solution. It allows you to be sure that the right person has received and appreciated the message, and it gives you the opportunity to provide supplementary information. In larger organisations, however, more people will need to be notified. In this case, the telephone is no longer efficient. E-mail, SMS, and voice messages are all good alternatives, but different situations demand different approaches. The golden rule is to alert via voice message if you want a rapid response. An SMS or email containing further information can always be sent at a later time. Regardless of this, however, a solid routine regarding receipts is imperative – it makes it possible to ascertain if and when the message has reached the intended recipient. Another good option is to create message templates. These should be a part of the organisation’s crisis management system and kept up-to-date and ready to use. 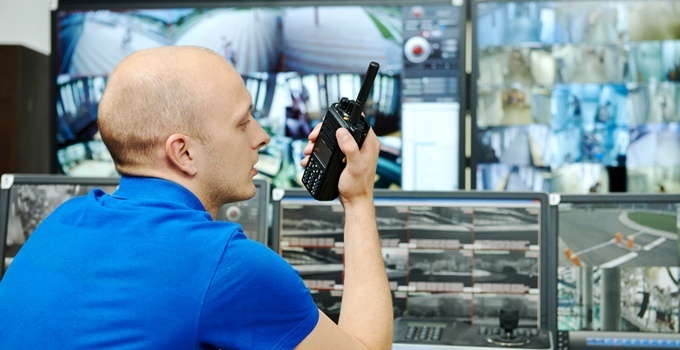 This will greatly simplify your alerting routines, making them more efficient in the process. Do you have correct contact information? Having a document of emergency contact numbers should be a given. But for most organisations, change is a constant. Often there is a continuous stream of employees coming and going, changes in functions, and responsibilities transferred to new positions, and these constant updates can quickly lead to inaccurate contact data. A maintenance process for contact information is therefore essential to the quality of your emergency preparedness plan. There should be two distinct aspects to each contact: their function/role and their contact information and keeping both up-to-date is a critical responsibility. A digital emergency preparedness system automatically keeps records up-to-date by synchronising with the HR-system. Whether or not each individual should be alerted is another matter, and that too, can be programmed as part of the system maintenance plan. It's crucial that your organisation practices crisis communication. The outcomes of these exercises, and the lesson learnt, should then be documented and reflected in the emergency preparedness plan and routines. If the person responsible for issuing alerts goes into a crisis situation without proper practice, they'll represent a huge security risk. Rehearsing and planning notification procedures will test your lines of communication and technical systems. The confidence built during these rehearsals will be invaluable in the event of a real crisis. Does your business have clear processes in place for handling a crisis? To ensure your contingency plan is up to scratch, download our e-book today. Eskil works as a project manager at One Voice with responsibility for implementing CIM among customers who acquire it, both in Norway and internationally. He has a background as an officer from the Air Force and has worked with the Integrated Logistics Support at Kongsberg Defence Systems.